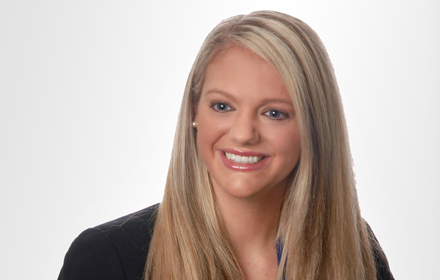 Stephanie L. Goutos is the Knowledge Management (“KM”) Attorney for Jackson Lewis P.C.’s Class Actions and Complex Litigation Practice Group, and is based in the firm’s Albany, New York, office. Ms. Goutos supports the development of new knowledge-sharing technologies, processes, and solutions; drafts and manages legal and electronic resources; monitors and analyzes regulatory and class action case law developments; and develops and maintains information and best practices to enhance the firm’s ability to provide excellent, cost-effective defense of class actions. In doing so, Ms. Goutos draws upon her extensive litigation experience defending class and collective actions in numerous states, including New York, Massachusetts, Maryland, Tennessee, and Indiana. Ms. Goutos’ practice is focused on complex employment litigation, including class, collective, and hybrid actions. Prior to joining Jackson Lewis, Ms. Goutos was Senior Counsel to the New York State Deputy Commissioner of Higher Education at the New York State Department of Education. In this role, Ms. Goutos provided legal counsel to the Deputy Commissioner and Assistant Commissioner of Education on a wide variety of issues, including existing and proposed state and federal laws and regulations. While attending law school, Ms. Goutos was a judicial extern for the Honorable Mae A. D’Agostino in the United States District Court, Northern District of New York. She was also a Senior Editor on the Albany Government Law Review and interned for the Albany County Office of the District Attorney in the Special Victims Unit.